600+ Google Fonts which can be applied to entire website, or just headers. Unlimited background colors, background colors for footer and header.Styles for RokSprocket, BT Login, WidgetKit Lite slider, Kunena Forum, JFlickr, WDS Twitter. Responsive mobile ready. Quick Start package included with sample data. 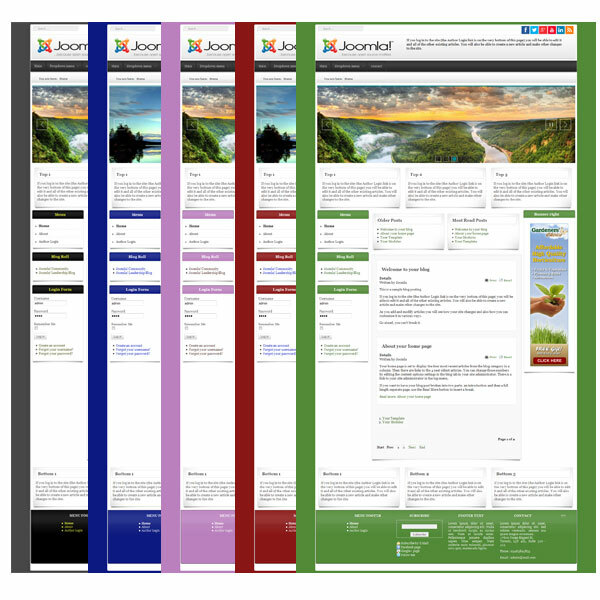 Ideal for you to set up website within few minutes, includes Joomla! itself, extra modules like K2, RokSprocket, BT Login, JFlickr, Widget Kit slideshow already preconfigured. Just replace demo articles with your content.